Have I ever mentioned how much I love blueberries? I really do. I actually love any type of berry. But blueberries are my favorite. Which is why I always long for summers back in Michigan (where I grew up) because we had every kind of berry sold in farms and supermarkets for unbelievably low prices. The joys of living on the agricultural side of Michigan. If you live in Tokyo, you know how expensive berries are. My eyeballs nearly fell out when I first saw the price. This teeny tiny plastic package filled with 15 or so blueberries can cost almost 600 yen. Isn’t that the craziest thing? 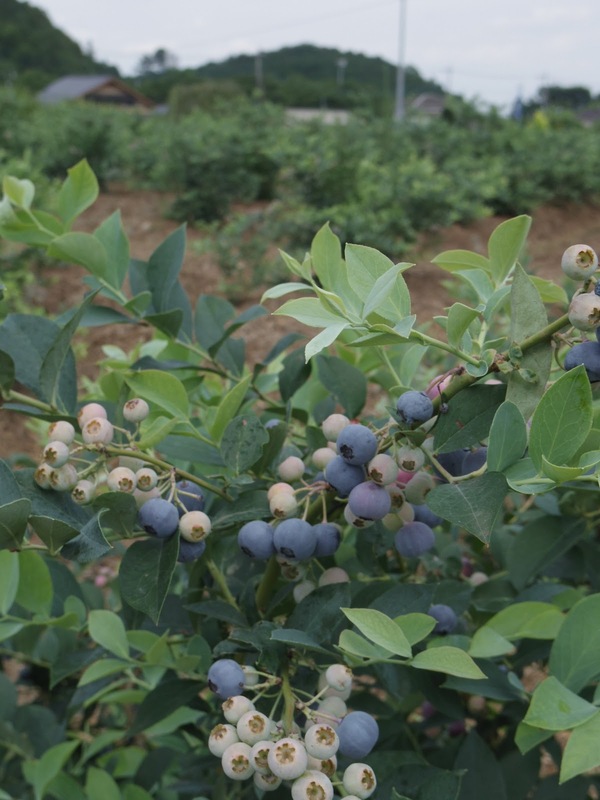 Anyways, I’d heard that there were blueberry farms around the Greater Tokyo Area so I looked into it and found a lot of farms. Some were even as close as the next ward over for me. 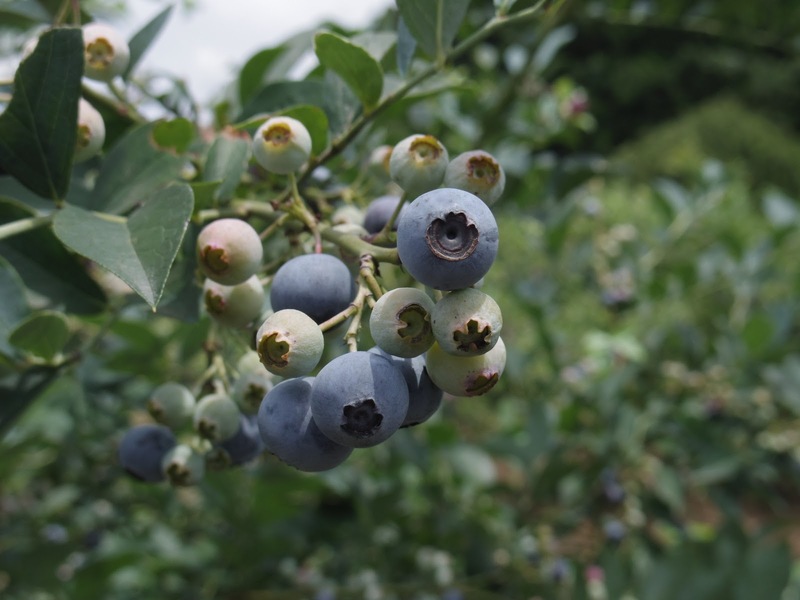 But my friend wanted to take the car somewhere so a couple of us headed out to the further side of Saitama to go blueberry picking last weekend. 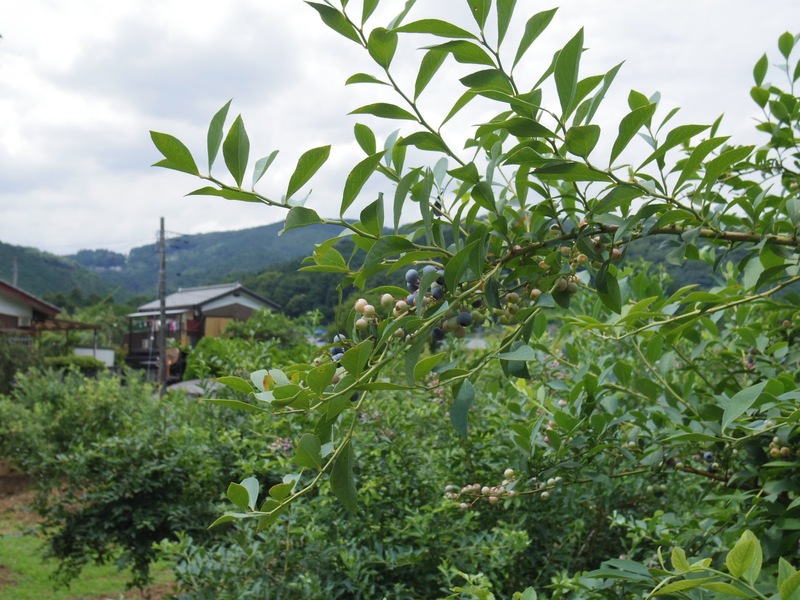 The farm was called Myrtille Moroyama (Japanese website here). 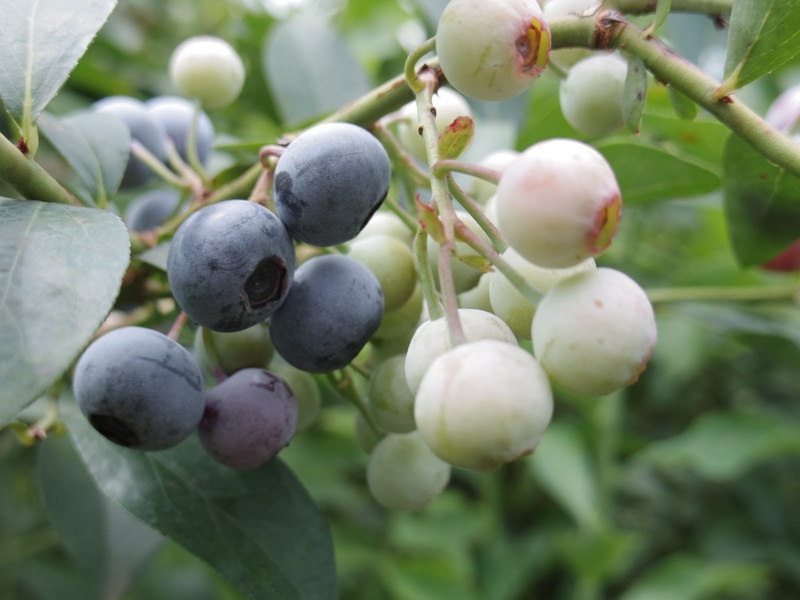 The farmer said that the blueberry season this year was just starting. 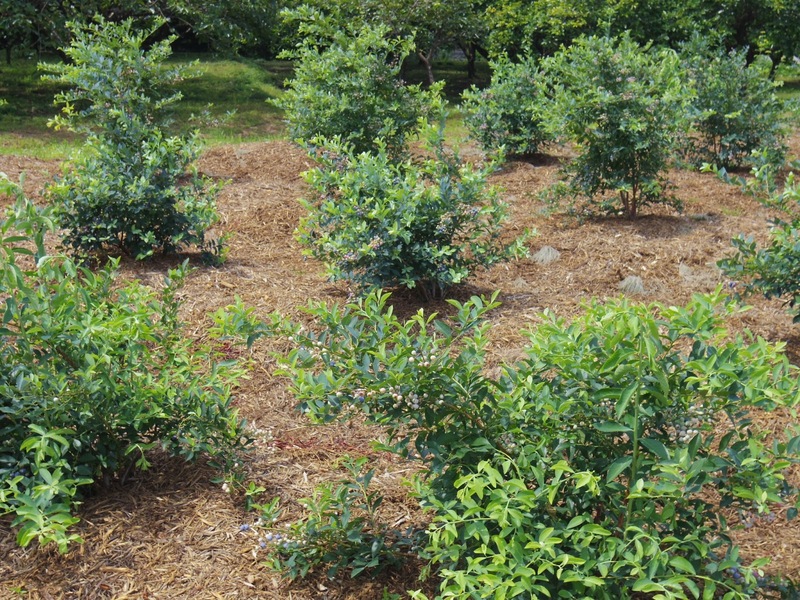 We were all pretty serious about finding the best blueberry bush…so many to choose from! I cannot tell you how excited I was to see so many blueberries within reach! The first half hour I only had this much in my basket because I kept on eating it all! So interesting how even on the same branch, some are already ripe and others still young. 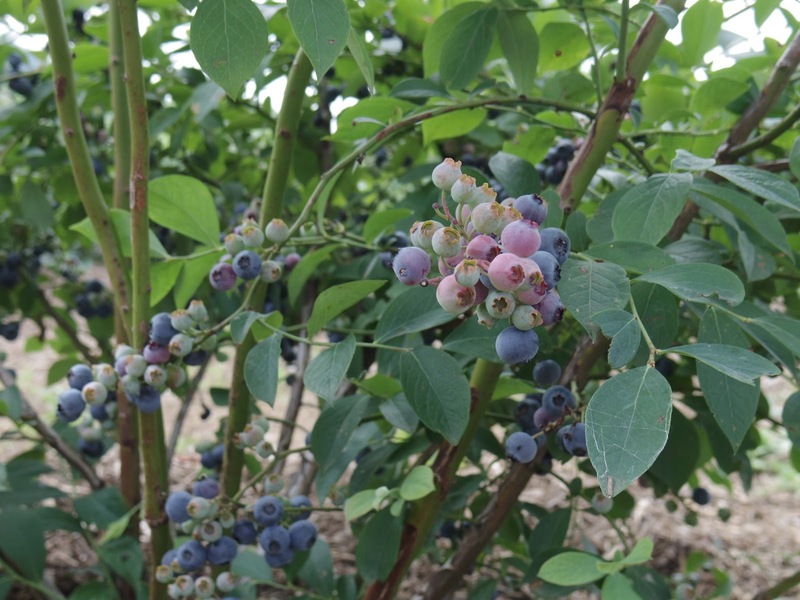 There were 3 types of blueberries on this farm; Tifblue, Brightwell, and Powderblue. 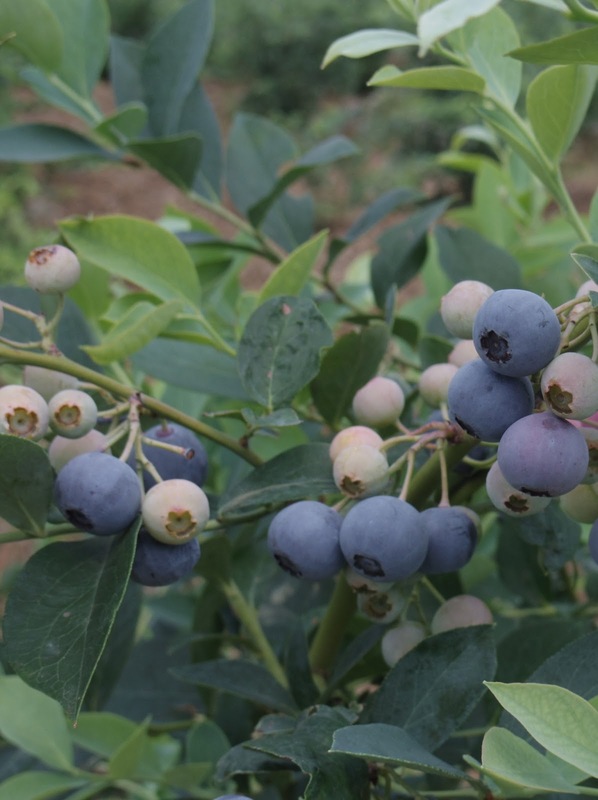 I specifically tried to pick bigger blueberries to take home with me. 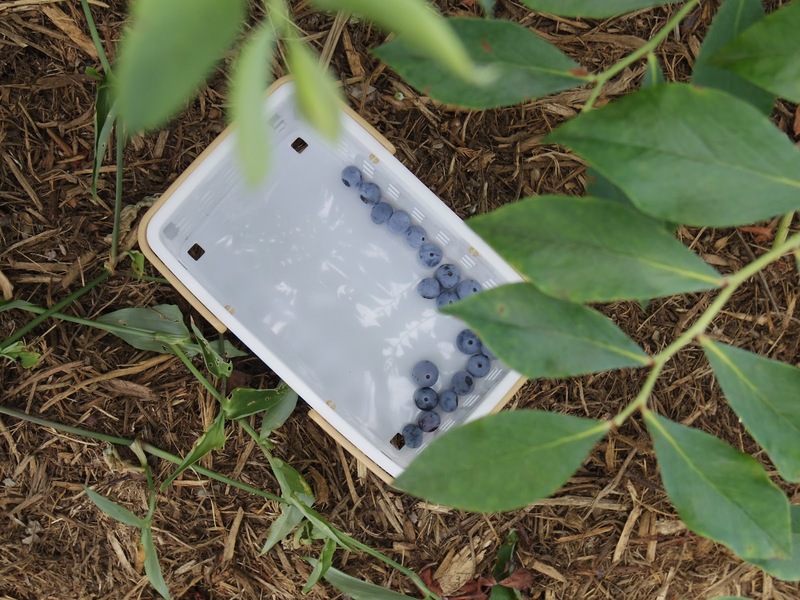 Found out that this farm has been growing blueberries organically since 1998…how awesome. 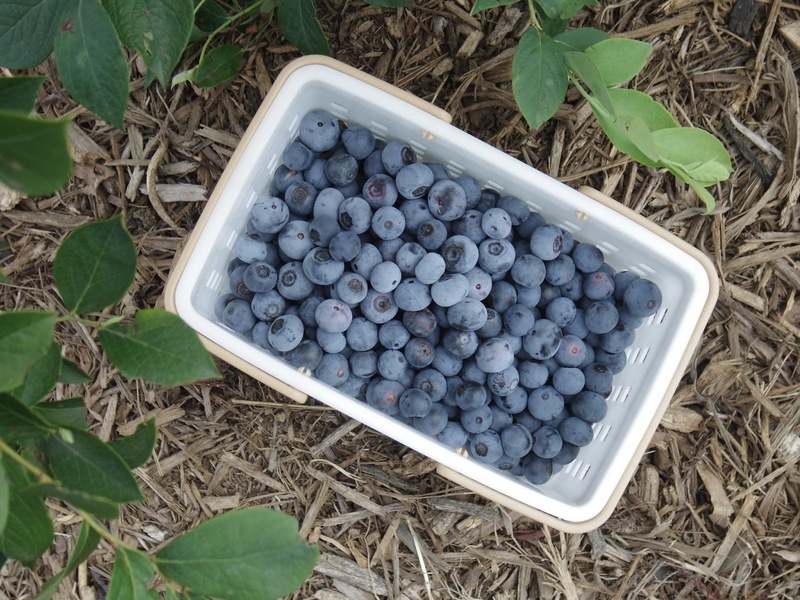 I love how they gave us these little baskets to put the blueberries in! It was so much fun! Definitely going to try to come back again this summer! 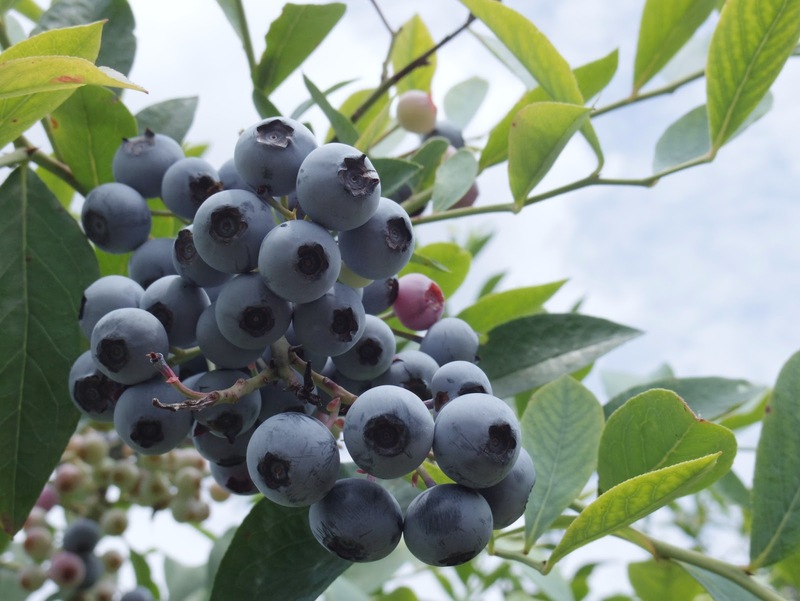 300 yen includes all the blueberries you can eat?! 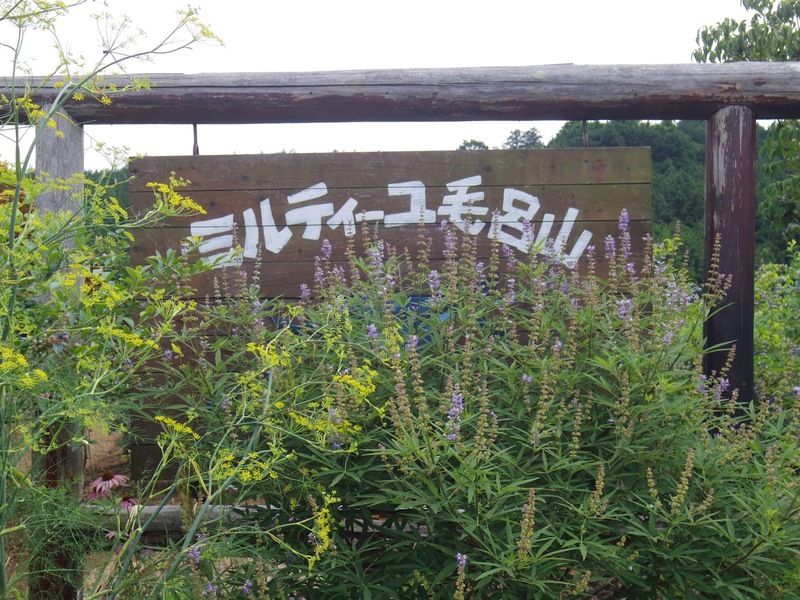 I have to work today, but I want to go AWOL instead and catch the nearest train/bus/mamachari to this farm! 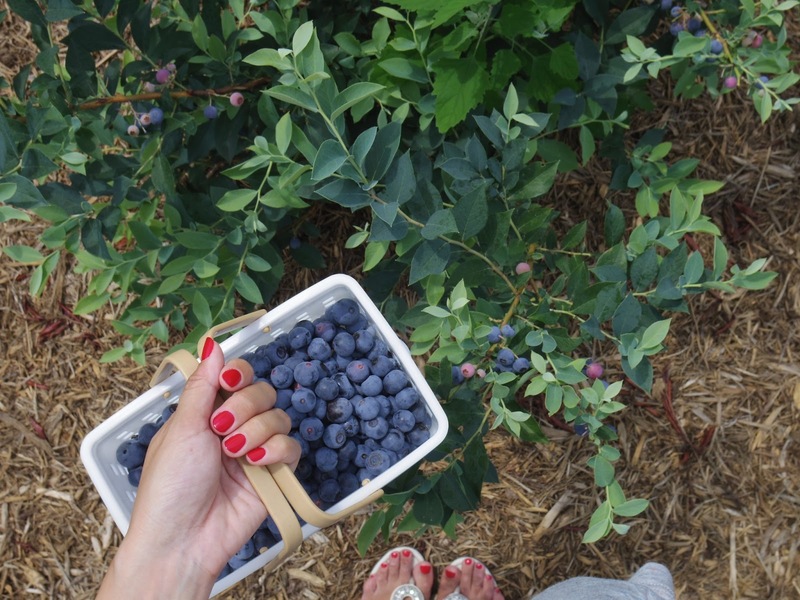 PS: The red nails and the purple blueberries are such a nice contrast. It made me smile. Tell me this isn't heaven! My freezer is currently enjoying two bags of frozen blueberries…but they are fast dwindling. Already dreaming about my next trip! Hearing all of my friends go to strawberry farms always had me thinking that there must be other U-pick farms out there. Reminds me of my childhood picking strawberries. We'd fill 4 litre ice cream pales full of them and my mom would make jam. It was hot and I usually got a sunburn then too. You had me laughing, imagining you with ice cream pales full of sake! ^^ You wouldn't be too far off from thinking of me with a pale full of sake. And you just made me think of cherries. I love cherries and miss them so much here. I eat them maybe once every 2 years or so. Oh, and peaches. I can't eat many peaches as the best I ever had was from near Vancouver. I stopped at a fruit stand in the middle of nowhere. Only farmer's market fruit. 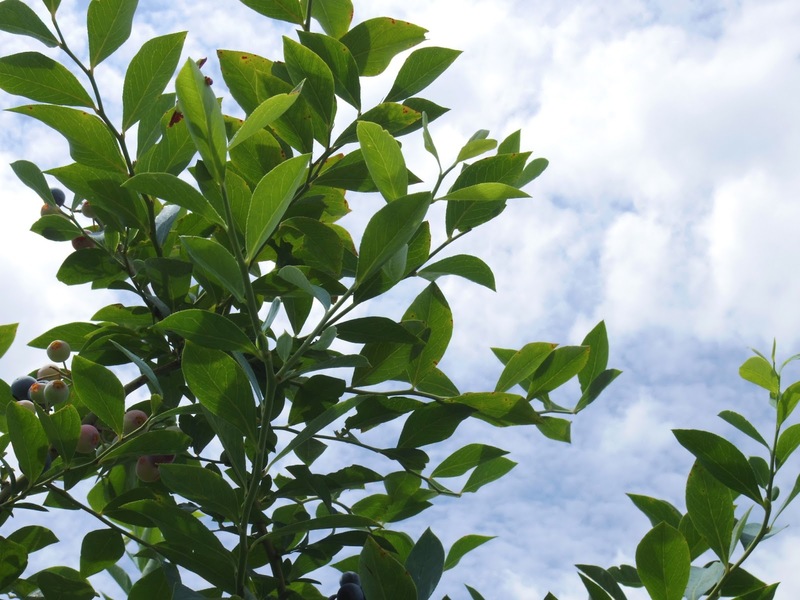 I bought a small bunch of peaches that were so good, you could easily eat the skin as well. It was like eating an apple, only better. I haven't had such good peaches since then, even in Japan where the fruit is almost perfect every time!